reverification of those who have found their names in the final draft of the NRC in 22 of the 33 districts of Assam. 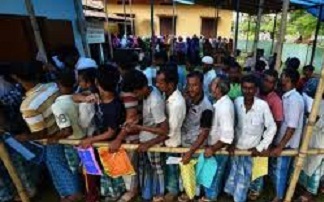 A report published in the The Indian Express stated that the organisation, in its latest affidavit filed in the Supreme Court on Tuesday, also asked for data regarding the demographic classification of the 40 lakh people excluded from the NRC final draft published on July 30 last to be made available. In its order on October 23 last, the apex court had said that NRC State Coordinator Prateek Hajela’s report on the reasons for suggesting exclusion of five documents from the original 15 List A documents from the ongoing claims round should be made available to all the 10 stakeholders, including the Centre, Government of Assam and APW.